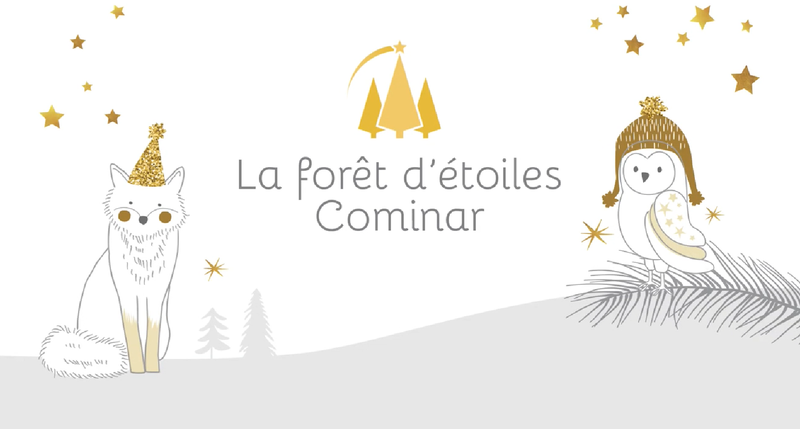 After proudly donating $160,000 to the Opération Enfant Soleil telethon in 2018, Cominar is back with the second edition of its Forest of Stars, this time with an even more ambitious objective. The official launch will take place December 1 in all of Cominar's 18 shopping centres in Quebec, in conjunction with over 150 partner companies. This year's fundraising target is $180,000. Cominar's Forest of Stars was created in 2017 and held in all of the company's shopping centres across the province in order to take advantage of the customer traffic generated by the holiday season to support Opération Enfant Soleil. Maxime Landry has agreed to serve as the campaign ambassador and spokesperson once again. He is joined this year by his good friend Annie Brocoli. They will visit Cominar shopping centres in December to spread some holiday joy. A storybook entitled The Tale of Stars, specially created for the campaign, along with a dessert known as the ChocoFox, made using 3D technology, will be to added to the on-site ornament workshops. Proceeds from the merchandise sales and workshops will go to Opération Enfant Soleil. For more information on the second edition of Cominar's Forest of Stars, go to cominarforestofstars.com. Cominar is the second largest diversified real estate investment trust in Canada and is the largest commercial property owner in the Province of Québec. The REIT owns a real estate portfolio of 430 properties in three different market segments, that is, office properties, retail properties and industrial and mixed-use properties. Cominar's portfolio totals 38.4 million square feet located in the Montreal, Québec City and Ottawa areas. Cominar's primary objectives are to maximize unit value through the proactive management of its properties. Opération Enfant Soleil raises funds to support the development of quality pediatrics for all sick children in Quebec. Donations have made it possible to carry out hundreds of projects each year in local organizations as well as in major pediatric centres, which are equipped with cutting-edge technology and welcoming environments, and in regional hospitals, where children can be treated near their families. Thanks to the generosity of thousands of Quebecers, the support of volunteers, and the dedication of our partners, more than 230 million dollars have been distributed throughout the province. To learn more, visit www.operationenfantsoleil.ca.